Originally published in 1987 to commemorate the 40th anniversary of the Marshall Plan, this fascinating collection of essays, from an eminent ‘insider’ to the Marshall Plan, combines economics, politics and history to provide authoritative and personal insights into the creation of one of the greatest foreign aid programmes of the twentieth century. 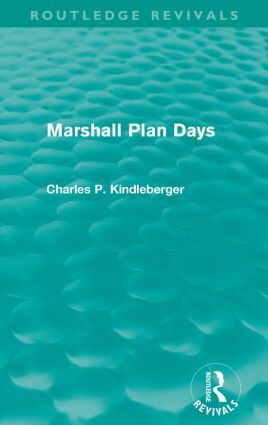 Any reader interested in the Marshall Plan itself, the inner workings of a major act of US foreign policy, and its many economic, political and historical facets will welcome the reissue of this valuable book from one of America’s most distinguished economists. 1987 Did Dollars Save the World?